Working in partnership with leading universities, our innovative Research and Development (R&D) programme is improving safety and treatments for patients and donors. Our UKCRC-registered Clinical Trials Unit supports studies across all our products and services. The Unit works with leading researchers to design, conduct, analyse, and publish clinical trials and other prospective studies. Get the latest organ-specific statistics, reports, guidance materials, procedural documents, strategic initiatives, meeting presentations and agendas from advisory and patient support groups. 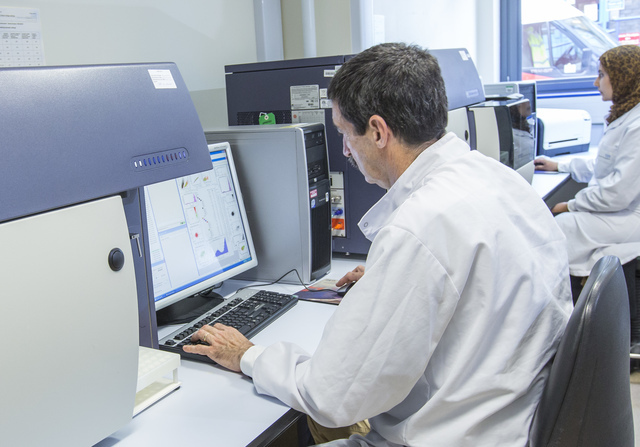 Our Clinical Biotechnology Centre (CBC) is designed to support healthcare, academic and commercial organisations through the production of DNA and protein-based therapeutics for early phase clinical trial and beyond. We are part of NHS Blood and Transplant’s internationally recognised Research and Development programme. We specialise in translational research that changes the way blood is processed, stored or tested. Operational support is provided by our governance and clinical effectiveness, and statistical teams.